THAI ICED COFFEE WITH COCONUT MILK AND BLACK JELLY INGREDIENTS AND PROCEDURES. 1. On a pot, combine coffee, sugar and cardamom in a pot then add in boiling water. Let this steep for 10 minutes, then strain. 2. Pour condensed milk on serving lass then fill with ice. 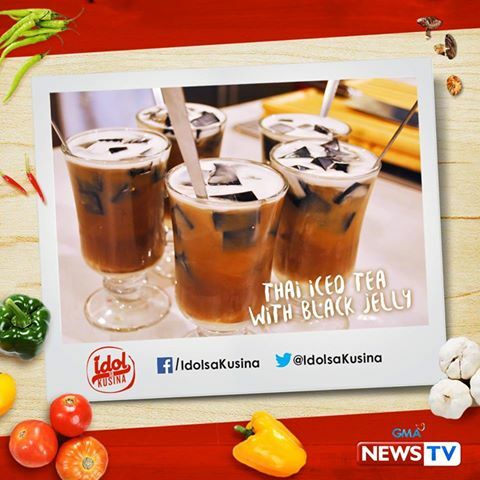 Pour coffee on glass then top with black jelly and coconut milk.